How can I be sure that they are genuine and are installed by Microsoft and not by a third-party software which I have installed on my Windows? What certificates I should check? Is that enough to check Trusted Root Certificate Authorities only or I need to check other directories in above picture too? Does Google Chrome and Firefox use these Certificates to verify website's certificates or they have their own CA certificates? Browse other questions tagged tls certificates web-browser man-in-the-middle certificate-authority or ask your own question. 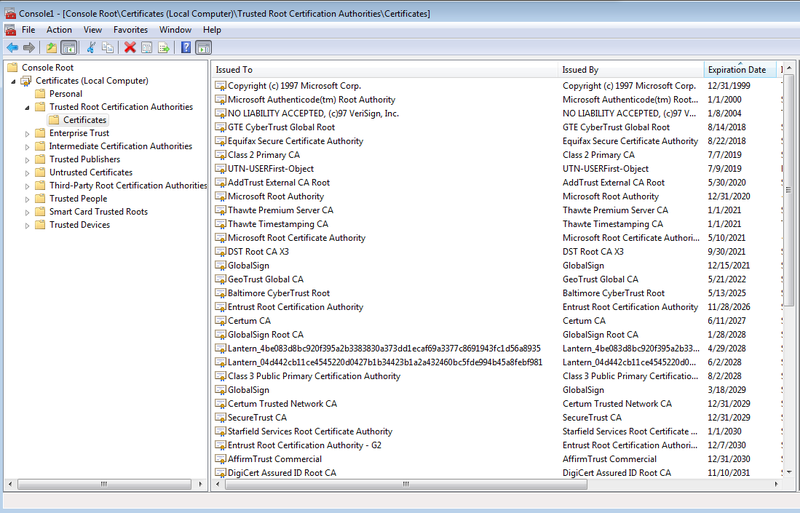 How can I know that the CA certificates in my computer have not been spoofed? How trustable are third party root certificates?